Now speaking from experience, parenting can be tough…especially Christian parenting. I’ve had my head buried in the Bible and Christian parenting books to find the proper way to raise my kids. I’m actually in one of the hardest places of raising my kids right now. I have twin daughters who just turned 14 yrs old and a son who is 10 yrs old. I homeschool them and I strive to give them a Christian perspective on life. And it is soooo hard!!!! The key to getting through it is to keep your eyes on Jesus and remember that your obedience to Him will be rewarded. My kids don’t like me sometimes but I know in the end they will thank me for my Christian parenting efforts. Today, I want to share my favorite Christian parenting books with you. The Bible speaks about our roles as parents and it’s definitely an important topic to study. These are the best Christian parenting books and they have helped me in all the different age ranges of my children. Parenting books for new parents. Parenting books for toddlers and preschoolers. All these books have either been read by me or were recommended to me by friends. I was part of a parenting Bible study group for several years and we still support each other in this adventure of Christian parenting. 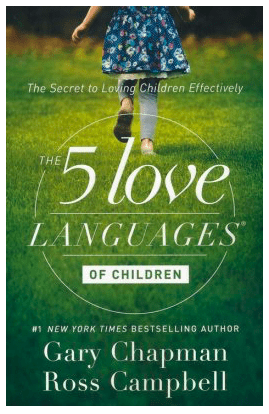 The 5 Love Languages of Children is a perfect book for new Christian parents. This book wasn’t around before my kids were born but it would have been helpful. I love these books. My husband and I read The 5 Love Languages to learn how to live a Christ-Centered marriage and it gave us great insight into what our needs really were. Anything you can do to prepare you for your Christian parenting adventure is helpful. Discover your child’s love language. Assist your child in successful learning. Use the love languages to correct and discipline more effectively. Build a foundation of unconditional love for your child. 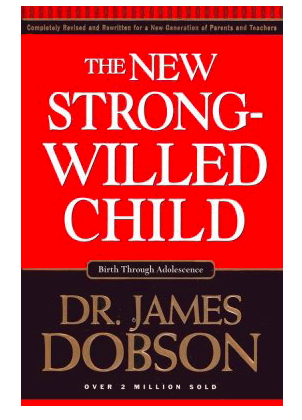 The New Strong-Willed Child is a great book for new Christian parenting. We as parents need to realize that our kids are born into a sinful nature and have some sort of their own strong-willed tendencies. This book shares tips on how to handle strong-willed children. Learn the strategies that succeed. Learn to shape the will while protecting the spirit. Avoiding the most common parenting mistakes. 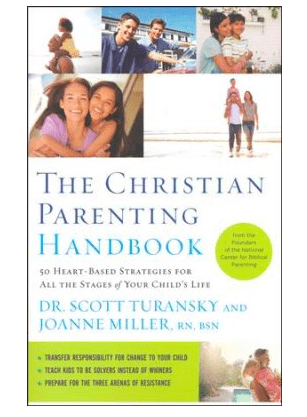 The Christian Parenting Handbook is perfect for parents with children ages 2-18. You’ll learn appropriate ways to correct, instruct and set limits. There are 50 strategies that are perfect for hands-on parenting. Identify character qualities to address problems. Transfer responsibility for change to the child. Teach kids to be solvers instead of whiners. Use creativity to teach your kids spiritual truths. 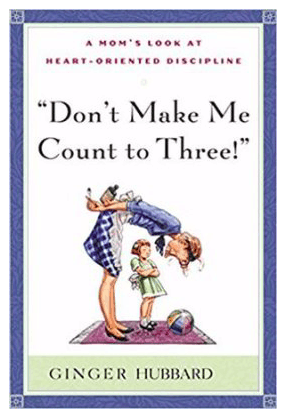 Don’t Make Me Count to Three is perfect if you find yourself threatening, repeating your instructions, or raising your voice in an attempt to get your children to obey (I’m guilty). You’ll learn how to work with scripture to parent more effectively. Helps you move beyond your frustration in parenting. Dive deeply into the issues of the heart. Handle issues of disobedience with confidence. 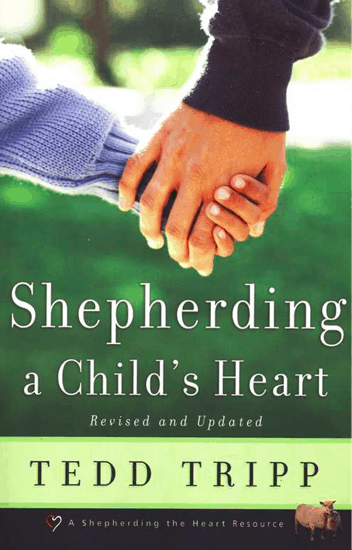 Shepherding a Child’s Heart is a book about speaking to the heart of your child. This book is great for children of all ages but I feel like the first time you recognize a heart issue is in the toddler and preschool stage. Learn how to speak to the heart of your child. Perspective and procedures for shepherding your child’s heart. 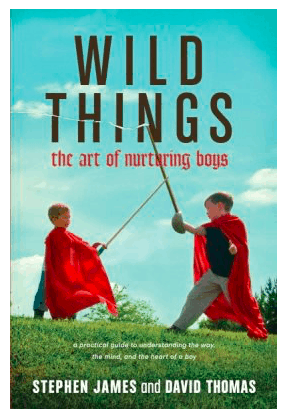 Wild Things is one of our favorite books about raising boys. Learning that both boys and girls are different was a learning curve for me. I expected my boy to be just like my girls. Wrong…they are sooo different. This book helps you guide boys down the path to healthy manhood. Addresses the physical, spiritual, and emotional parts of a boy. Helps you understand why they don’t sit still and how to deal with it. 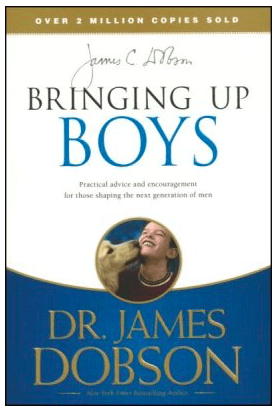 Bringing Up Boys is a great book for guidance on a man’s role in society. What qualities should a boy possess? There is so much confusion in our society these days. 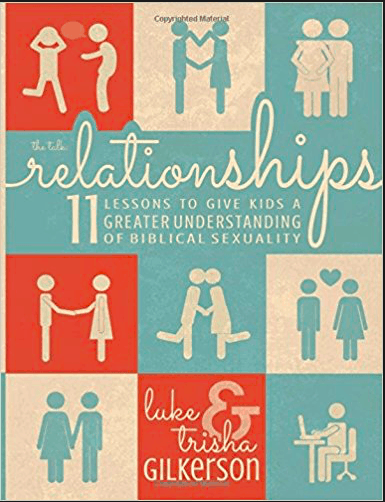 This book helps you learn how to raise your boy on Biblical principals. Addresses the role of a man in society. Offers advice and encouragement for situations your boy may be experiencing. 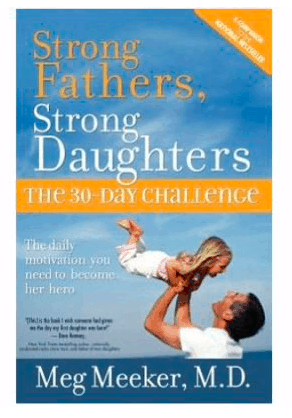 Strong Father, Strong Daughters is a book that shares how important a father is in his daughter’s life. My hubby got some really great insight from this book. It discusses how to balance protecting and counseling your daughter. Discusses how a man can become a stronger father. How a fathers influence affects every aspect of his daughter’s life. Why you need to be your daughter’s hero. Your Girl: Raising a Godly Daughter in an Ungodly World is perfect if you have a daughter who’s is eighteen years and old younger. I can’t even begin to explain the issues that I have faced with my girls. The world is so cruel. 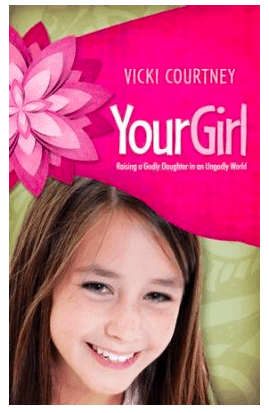 This book helps you see how to raise your daughter to know that she has a loving Father in heaven. Helps you understand that your child is at war in her mind, body, and soul. Discusses your high calling in motherhood. How to counteract the negative influences of our culture. Development of human life in the womb (Psalm 139:13-18). The importance of honoring God with one’s body (1 Corinthians 6:18-20). 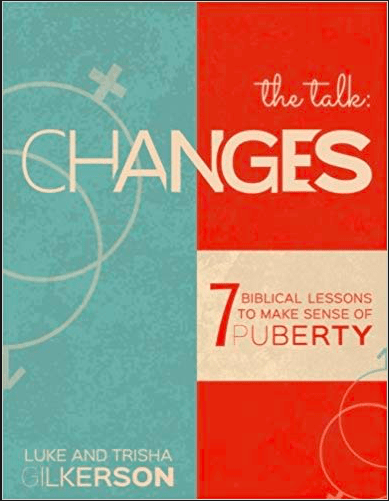 Changes: 7 Biblical Lessons to Make Sense of Puberty is the second book in “The Talk” series. The nice thing is that you don’t have to use all three. Each book is sold separately. We decided to get all three books because they are really informative and have an excellent teaching approach. Discusses the changes your child can expect during puberty. Teaches how puberty is a blessing. Helps your child understand and manage the mental, emotional, and physical changes. 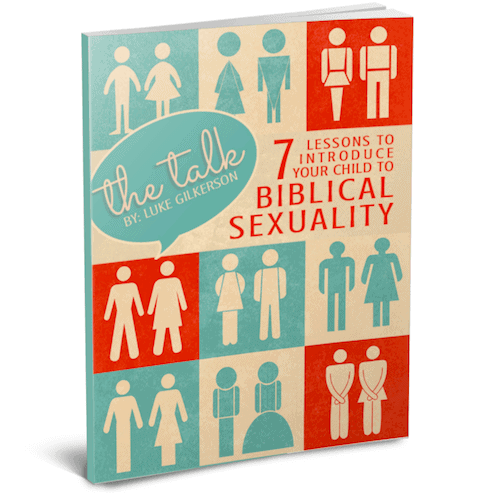 Relationships: 11 Lessons to Give Kids a Greater Understanding of Biblical Sexuality is the third book in “The Talk” series. It’s impossible for me to explain how amazing these books are. 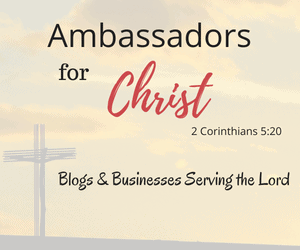 They cover everything with pictures, scripture, and questions to make conversation. My husband and I do these studies with the kids together so they know that they can come to either one of us anytime to discuss the topics. Helps teens prepare for sexual temptations. How to recognize the sexual desires they may experience. How to handle relationships in a Godly manner. I’m sure you can tell by this list of Christian parenting books that we take our Christian parenting pretty serious. I’m so thankful that we have such amazing resources for guidance. The Bible is our ultimate guide and these Christian parenting books are icing on the cake. 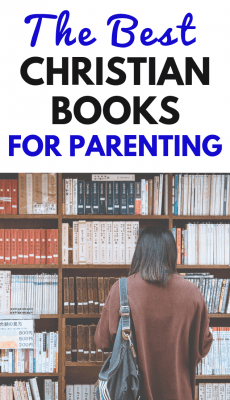 This is not an exhaustive list of the best Christian parenting books. I will be adding more books as we find them. Do you have any books you’d like to recommend for this list? If so, leave me a comment below so we can get it added.